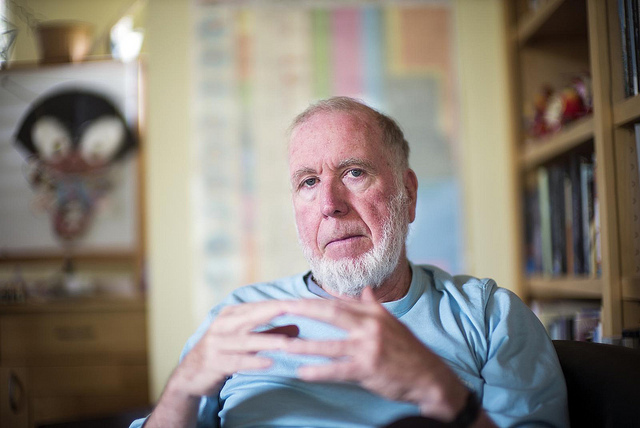 We had the honor to talk to Kevin Kelly – about his newest book “The Inevitable”, in which he outlines twelve trends that will force their ways on us. Although he allows a lot of room for the specific forms they will take. People are ignorant of what is coming, or afraid. In his new book, Kevin tries to get the reader to embrace these new trends. They cannot be evaded, but we do have a lot of choices in how we embrace them. Stopping or prohibiting them takes away our abilities to make choices in how we can embrace new technology. We asked Kevin how his process works; how does he make sense of all these changing dynamics? Obviously, he spends a lot of his time reading papers and talking to experts. But, less obviously, he spends at least as much time looking at where technology is mis-used, or being used unsupervised. Looking at early prototypes, how the underground is using it, the way criminals use it, the ways in which kids bend it – that is where Kevin finds the hints that tell him in which direction technology will develop. In becoming more and more complex, technology also appears to become more biological, rather than mechanical. If we are to understand technology, we will have to think about organisms, biology and, well, life – rather than machines. Here’s the interview. And a link to the mp3 file – might be easier to download.